Scratch to colour beautiful creations! Use the pattern guide to match different scratching techniques for cool effects. 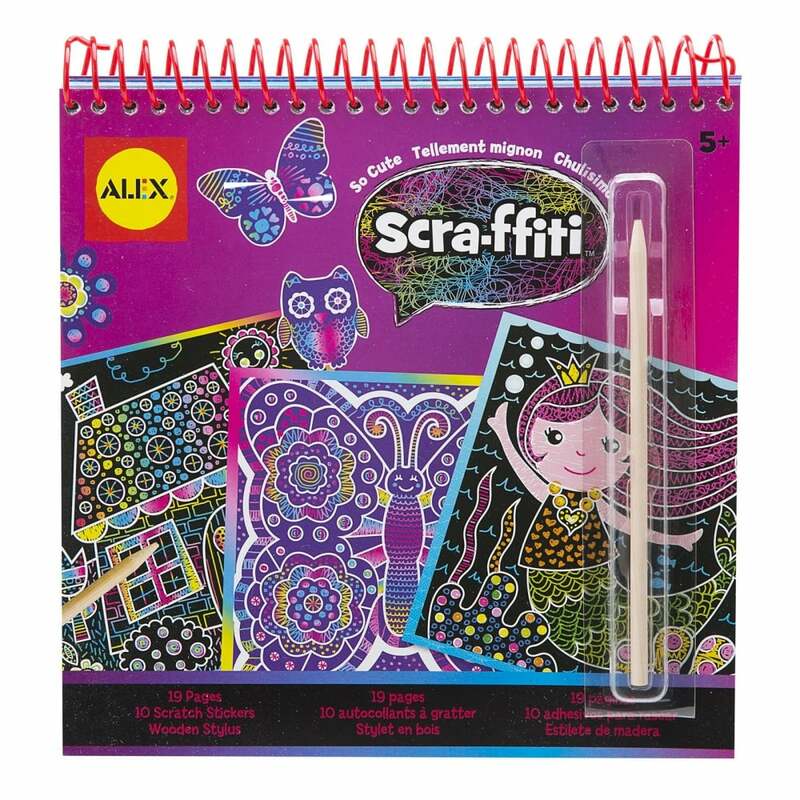 Scra-ffiti So Cute designs include a ballerina, butterflies, flowers, a house and more. Each book contains 19 design pages, a sheet of scratch-able stickers and a wooden stylus.